The fund will invest globally in late-stage fintech companies that are driving innovation and disruption in banking and financial services. Luxembourg/London/Berlin, October 17, 2018 – Corviglia Capital Fund, a global fintech growth equity investor, launched today with a target of $500M in capital commitments. The fund was established in Luxembourg by two experienced entrepreneurs and executives – Petr Šmída and Cezary Smorszczewski – who each managed financial institutions valued at $10B. Building its presence in London and Berlin, the fund aims to deploy $250M in the first three years, which has already been secured in the first closing. “Banking and financial services are entering a period of unprecedented change with the leadership of the best entrepreneurs of today. We decided to set up Corviglia Capital Fund to find those very entrepreneurs and invest in their growth,” said Šmída. Šmída has spent more than 25 years in global banking and financial services. In 2010, he co-founded ENERN, an Eastern European/DACH venture capital firm which has invested in 20 tech companies via three different funds since its founding. Prior to that, he worked as a private investor and served as the CEO/Chairman of various multibillion-dollar banks and financial services companies around the world, including Alfa Bank and GE Capital. Smorszczewski has more than 20 years of experience in finance, holding top positions at a number of prominent Polish banks and serving on the supervisory boards of several financial & technology companies. 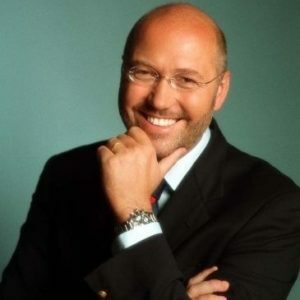 He is the the co-founder and former deputy-CEO of Alior Bank (2007-2013), the first Polish fintech unicorn, which sold for $2B on the LSE in 2012, and the co-founder and former CEO/Managing Partner of Private Equity Managers (2014-2016), a firm that specialises in fintech within the CEE/CIS/DACH regions. 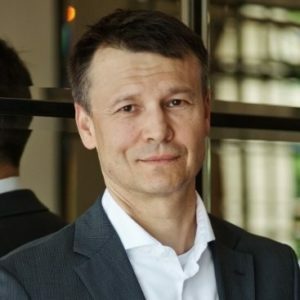 “Having had firsthand experience building a fintech unicorn and decades of experience on the other side of the table working in financial services and banking, I decided to embark on this journey to support the next generation of founders and companies aiming to revolutionise the financial sector,” said Smorszczewski. Corviglia Capital Fund is a geographically agnostic, long-term investor in late-stage fintech companies that are spearheading innovation and disruption in financial services and banking. The fund makes minority investments with tickets ranging from $10 to $50M.